Down's Syndrome: What is it? Down's Syndrome is a genetic disorder where a person has three copies of chromosome 21 instead of two copies. This is why Down syndrome is also referred to by the name Trisomy 21. It affects around 1 in 650-1000 people and is characterised by a varying degree of learning difficulty and in some cases associated structural differences sometimes resulting in physical health problems such as heart or sight impairments. We are aware that there are other conditions which may have similar manifestions to Down's Syndrome, in these cases the information below may also be useful. 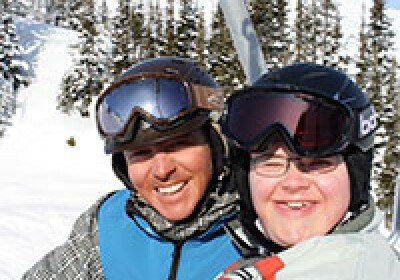 A person with Down's Syndrome can ski and enjoy the mountains with family and friends! Ski 2 Freedom has many clients who have discovered the joys of the snow and magic of the mountains. Most ski schools which have qualified instructors for disabled and adaptive skiing and snow sports as well as experience in working with people with learning difficulties should be able to work with children and adults who have issues and associated conditions relating to Down's Syndrome. Confidence on the snow is the key issue and it is well worth investing in the excellent private tuition that is on offer by the ski schools. 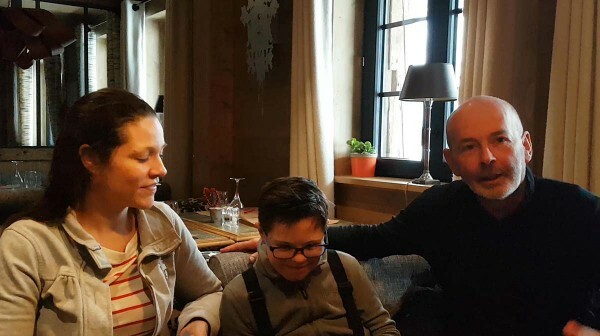 Once the person has gained the basic skills then there is no reason why the family cannot all ski together- it is also a good idea to return to the same ski resort for a couple of winters just to maintain that special relationship and new found confidence. Your initial enquiry to the ski school should include as much background information on the skier as possible. Discussing in detail the skier's specific needs and condition(s) is VITAL to ensure both the ski school and you know what is going to happen and to ensure you are matched with the right ski instructor and/or equipment. This may include a discussion about other associated health and social needs such as epilepsy, asthma, heart problems, communication and social awareness skills and any recent medical developments. This is especially important in the case of Down's Syndrome as it is a condition that can be associated with many different health problems. 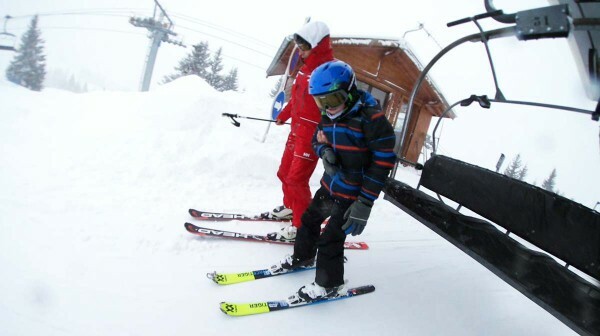 In some cases when a child is new to the slopes or not a very confident skier or there are mobility issues, then why not have an hour or so on the piste with a qualified ski instructor 1:1, then take the opportunity hiring the instructor to whizz your child around the slopes with the rest of the family using a Tandemski or sit-ski (dual ski pilot) - he or she gets the chance to relax a bit and be with brothers, sisters, parent and friends! A lot of fun and laughter can be had! Many of the ski schools have a good idea of what is required especially when it comes to equipment and clothing, in particular the ski boots. Do ensure that you ask the ski school if they can recommend a ski hire shop for such items. As skiing requires wearing not every day clothing such as helmets, goggles and gloves etc. it might be worth trying these at home first (or something similar) to give the skier a chance to get used to them and therefore be as comfortable as possible on the first skiing day. As people with Down's Syndrome may sometimes be affected by orthopaedic problems or any impairment which makes conventional skiing difficult, specialist ski equipment may be required but this will depend on the degree of the disability. Fundamental to the experience, regardless, will be a good knowledge and understanding of the skier's needs so that a trusting relationship can be established between instructor and pupil. In Europe, the US, Canada and worldwide there will be ski instructors with experience in teaching those with learning difficulties and those requiring disabled and adaptive skiing tuition, therefore it is more than likely that whichever resort you choose there will be someone who will be able to help you. However, going somewhere where skiers with a similar condition have gone before, may well be a source of comfort and reassurance. We are delighted to be able to list below all of those schools, of which we have personal experience (clicking on the link will take you to our Accessible Resort Guide for further information on the ski school and resort): If the resorts below have not yet been uploaded to the resort guide please contact us directly on catherine.cosby@ski2freedom.com. If you would like information on other ski resorts please go direct to our Accessible Resort Guide or contact us. 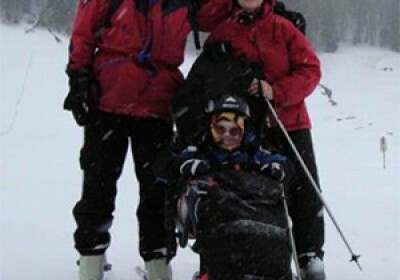 We are delighted to be able to share information and feedback from families who ski and understand the problems associated with Down's Syndrome or similar disorders on our Personal Stories page.